A Tribute To Our Late President, Stan Wilkins. In 1939 he had his first car, and in 1940 was fined £1 for speeding at 20 mph without lights in the Blitz! Stan was born in April 1922 at Coppice Street, West Bromwich. He had a matriarchal upbringing for his parents parted when he was two. His family later moved to Price Street, West Bromwich. His early education was spent at Lodge Estate School, Lodge Road, before passing examinations for West Bromwich Grammar School in 1932. He enjoyed holidays to Rhyl, the Gower Coast and Weston. It was at Weston in 1936 that he took his first ever plane trip, a spin all the way to Cardiff. Perhaps this was a portent of his later wartime life in the RAF. On leaving school he joined GEC Witton as an apprentice electrical engineer assembling armatures but became disillusioned. 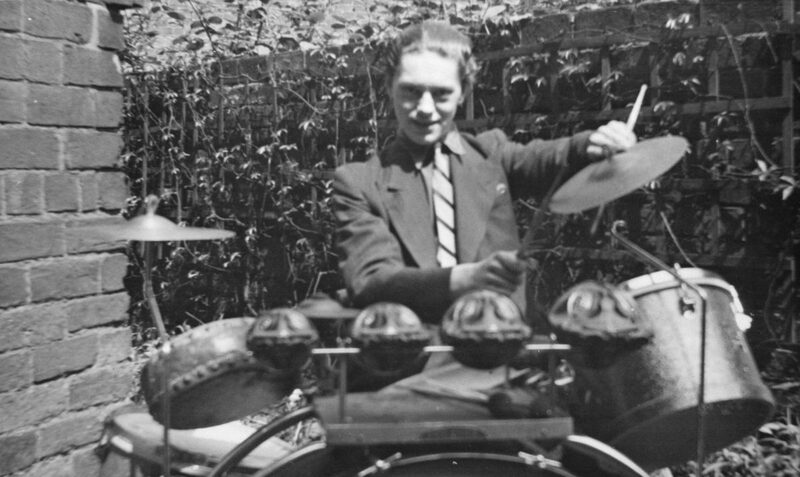 A more enjoyable part of his life at this time was spent playing in local dance bands as a drummer. 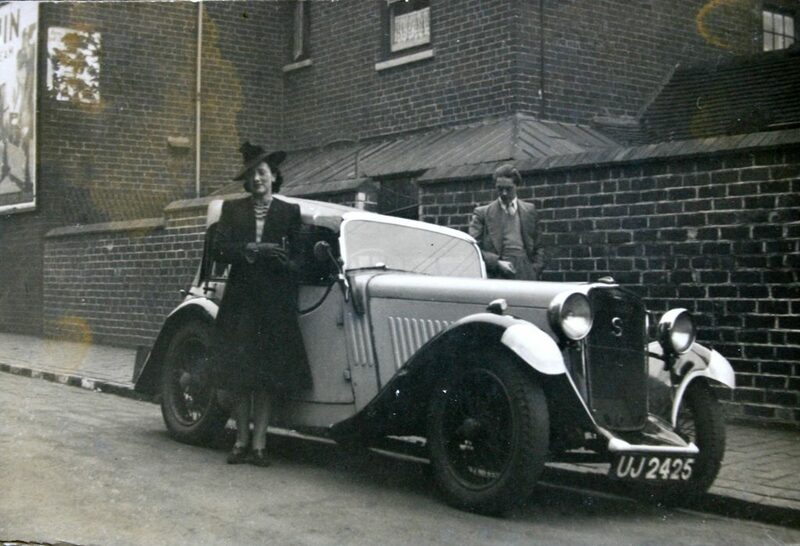 He moved to Newmans Commercial Property Agents as an assistant come chauffeur around 1938, with time off for band engagements playing with ‘The Ebeneezer Trio’ among many others. In 1939 he had his first car, and in 1940 was fined £1 for speeding at 20 mph without lights in the Blitz! Memorably too, in 1940 a petite girl called Joan caught his eye, and with the help of a friend he conspired to meet her in the Sandwell Hotel. They became engaged in August 1942 marrying in October that year. Joan worked in Bodenhams for many years. In the same month they were engaged he was drafted into the RAF. He volunteered for aircrew but failed a medical and was eventually sent to ground crew maintenance in Karachi, India, for the next three years. He soon joined the station band and toured India keeping up morale. He left Karachi in March 1946, and came home. Demobbed he joined Steel Parts, Stan said the owner favoured appointing RAF personnel having lost a son in the war. Steel Parts subsequently became part of Glynwed Industries. Stan prospered with Glynwed; as he rose up the managerial ranks he was asked to manage the newly formed IT department located in Wednesbury. He was also a trouble shooter sent to many of Glynwed’s subsidiaries until he retired in 1987. Stan and Eleanor, his mother, in 1940, with his new Singer Nine Le Mans car (bought second-hand). 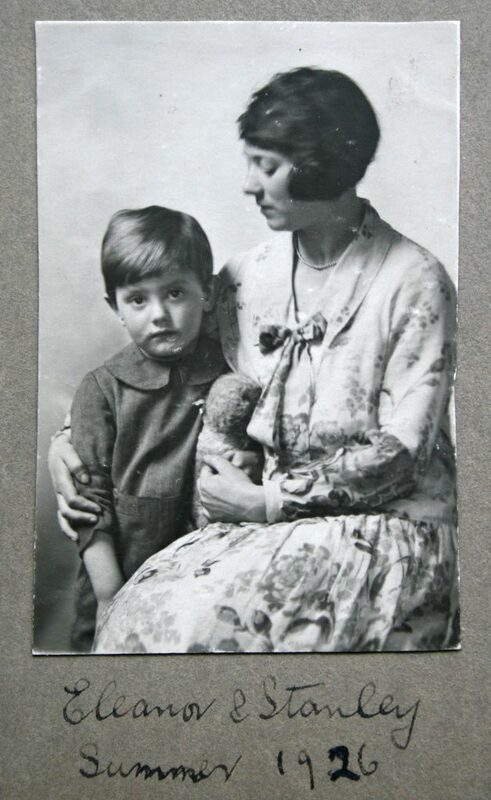 Stan and Eleanor, his mother, in 1926. Interview with Stan Wilkins, where he recalls growing up in West Bromwich. Download pdf. Retirement saw him become a founder member of both West Bromwich Civic Pride and the West Bromwich History Society.